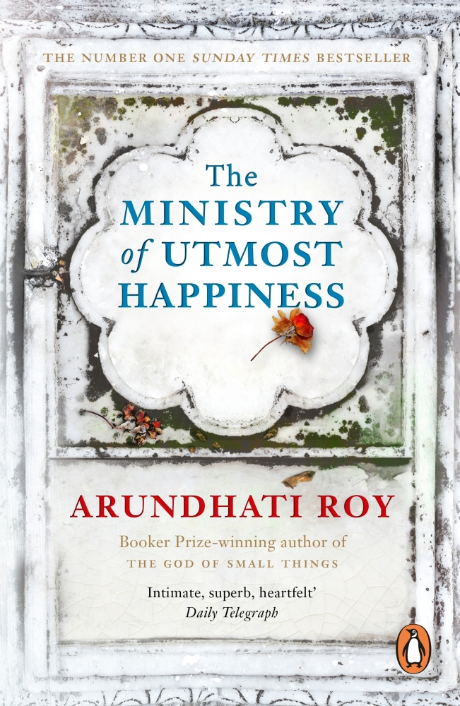 Wishing a wonderful paperback publication day to Arundhati Roy. For those of you who are yet to get hold of a copy of her dazzling book, let us introduce it to you. The Ministry of Utmost Happiness takes us on a journey of many years-the story spooling outwards from the cramped neighbourhoods of Old Delhi into the burgeoning new metropolis and beyond, to the Valley of Kashmir and the forests of Central India, where war is peace and peace is war, and where, from time to time, 'normalcy' is declared. The Ministry of Utmost Happiness is at once an aching love story and a decisive remonstration. It is told in a whisper, in a shout, through tears and sometimes with a laugh. Its heroes are people who have been broken by the world they live in and then rescued, mended by love-and by hope. For this reason, they are as steely as they are fragile, and they never surrender. This ravishing, magnificent book reinvents what a novel can do and can be. And it demonstrates on every page the miracle of Arundhati Roy's storytelling gifts. 'A masterpiece. Roy joins Dickens, Naipaul, García Márquez, and Rushdie in her abiding compassion, storytelling magic, and piquant wit. An entrancing, imaginative, and wrenching epic' Booklist starred review.